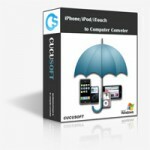 iMacsoft iPod to PC Transfer is designed for iPod users to fast transfer, rip, copy and manage your music, video, photo, ePub, pdf, audiobook, voice memo, podcast and TV Show files from iPod to PC, iPod to iTunes. It helps you create, edit and delete iPod playlists. 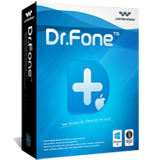 Wondershare Dr.Fone for iOS is the World’s 1st Exclusive iPhone, iPad and iPod Touch Data Recovery software for personal users. An exclusive featured software that is highly reviewed by many notable tech media coverage and worldwide users. Cucusoft DVD to iPod Converter 7.19 rips a DVD to your video-able iPod Touch/Nano and Apple TV - This DVD to iPod ripper is the top choice among the DVD to iPod software programs for Windows !